The Royal Canadian Mint is now selling its third silver coin shaped like a maple leaf, the 2016 $10 Maple Leaf Silhouette Canadian Geese Silver Coin. Similar to the previous two, this one is in 99.99% pure silver. Unlike them, it is half their weight at 15.67 grams and that makes it unique for the size. The Mint’s first 1/2 oz. maple leaf-shaped coin depicts a pair of geese feeding in the waters of a pond or lake. A plus for its size is that the lighter silver weight makes it more affordable at CAD $84.95, or about US $65. Designed by wildlife and landscape artist Trevor Tennant, the coin’s reverse or tails side shows the two geese within the lobes of a maple leaf. Ripples in the water enhance the leaf’s texture while a branch in the background doubles as the leaf’s veins. The design includes an upper inscription of the year, 2016, and a lower inscription of coin’s face value, 10 DOLLARS. Obverses offer an inner image of Susanna Blunt’s effigy of Her Majesty with inscriptions around the leaves reading: CANADA, ELIZABETH II and D G REGINA. 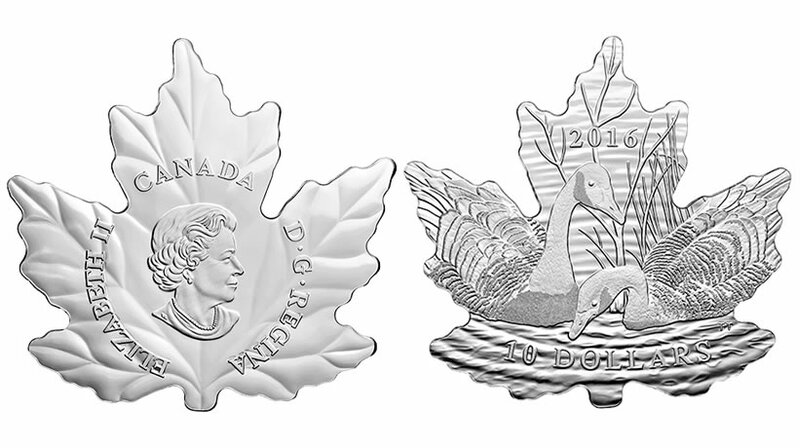 The first leaf-shaped silver coin debuted in 2015 and sold out in two days. The second coin is colorized like an autumn maple leaf. 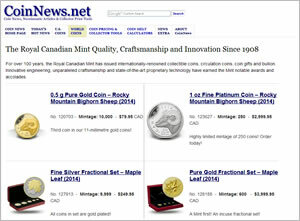 It launched in June and is available for CAD $154.95, or about US $119. 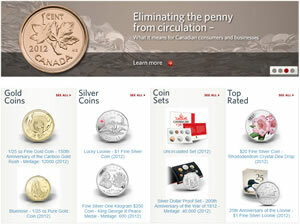 The new silver coin is available directly from the Royal Canadian Mint at mint.ca. An affiliate link to the coin’s product page is right here . A pretty coin, but very small at a half ounce silver for about US $65 with a high mintage of 22,000 coins. Pass!